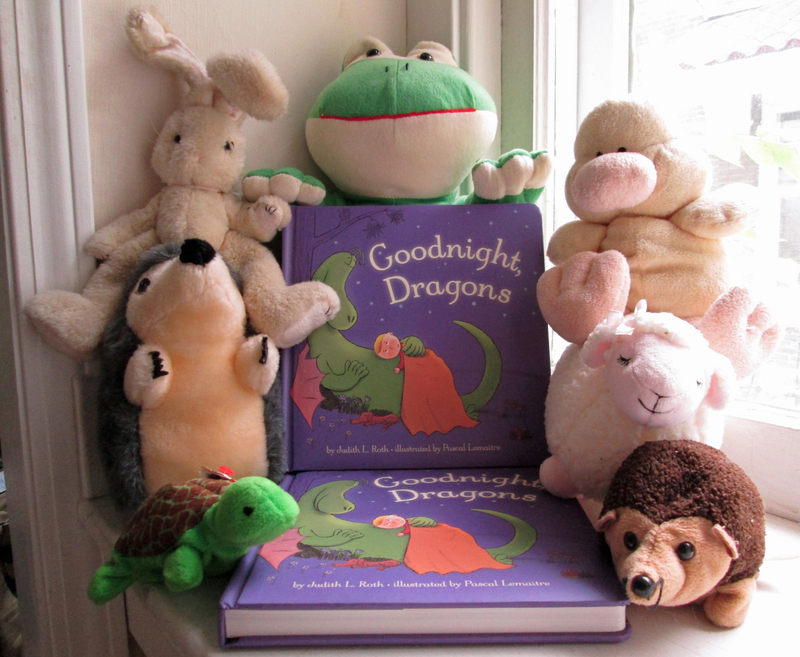 Before the sad news that Goodnight, Dragons will go out of stock, came the happy news that Goodnight, Dragons will become a padded board book. If you don’t know what that is (I didn’t), it’s like a regular board book, only the cover is made so it’s kind of soft and squishy. A chubby book for chubby hands. Release date is January of 2015. Two sample copies arrived in the mail yesterday, and they are so adorable (my agent’s description) that I’m thinking this could have been the very first format. It seems like it’s the best incarnation of Dragons one could imagine. Woodland creatures photobombing the new format. I took a picture of the two books with woodland creatures that are featured in Goodnight, Dragons to make the picture more charming. (Disclaimer: these are actors portraying the animals in the book, not the actual animals.) But really. This book design is charming enough by itself. Then why, you ask, don’t I just show a picture of the book? Come on. Look at those little stuffed faces! 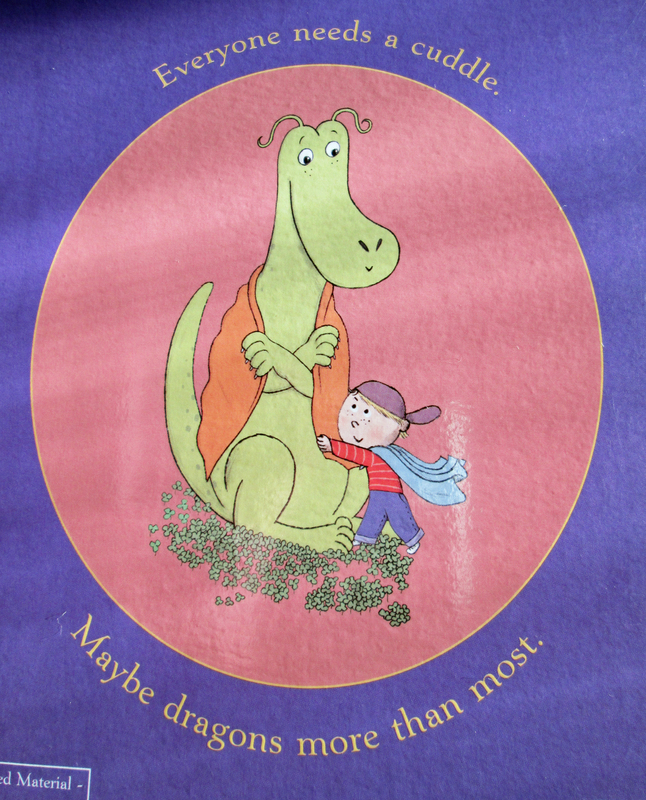 So if there’s a dragon in your life right now, you might want to give them a hug. Meanwhile, I’m just going to hug the book.